With so many luxurious and reliable autos Italian automakers can surely consider themselves to be among the best car manufacturers all over the world. Major Italian car brands appeared many years ago following their development and growth. Now consumers have a chance to benefit from wide range of models including stylish and luxurious sedans as well as powerful sports cars. These brands are recognizable around the world while their logos have become signature of quality and style. Found out how these logos appeared and what they mean. Alfa Romeo brand has one of the most extraordinary and at the same time interesting logos. The main element of the badge is a snake eating a man. At the same time it contains a heraldic symbol in shape of a cross which was rather popular in Italy in medieval times. The main idea was to make such logo that will be associated with Milan. Some people mistakenly think that this cross is somehow connected with ambulance or medicine. However it goes back to crusades and means “run for your life”. Speaking about the most controversial element of the logo, snake eating a man is also connected with crusades and their defeat against infidels. In other words you should not try to find exact meaning of this badge. Alfa Romeo logo is an ancient symbol of Italy. That’s all what you need to know. Fiat brand was founded in 1899 and is started to play the leading role in Italian automotive industry from its inception. This was a perfect chance for the company due to the fact that the epoch of industrialization started. In spite of such rich history of the brand the logo is rather easy. It consists of letters F-I-A-T which stand for the name of the company. They are placed on the blue background. Later chief designer decided to add some new lines in order to make the badge more spacious. It still looks the same at present times. This brand is very popular for its luxurious sedans. Its logo is also recognizable all over the world. The original version of the badge was created by Count Carlo Biscaretti di Ruffia. It displays a shield with flag and a lance. It was not changed for more than hundred years. However in 2007 Lancia logo was redesigned. Few people know that father of Ettore Bugatti was a rather successful artist and jewelry maker. He played the main role in creation of logo. That is why Bugatti logo is exceptional. Talent of designer made it possible for him to create iconic badge which is now a signature of power, speed and style. Oval frame represents elegance in combination with technology. Maserati logo is one of the most recognizable among all other Italian automakers. It represents the official emblem of Bologna which is a birth city of family which founded this popular band. Later family left Bologna for Modena. Modern version of the badge contains white trident located on a blue background. It is designed in order to symbolize the power of Neptune. Tagline which says “Excellence through passion” is placed below. Ferrari logo with its “prancing horse” is famous all over the world. It was firstly used by military ace Baracca who was rather popular during WWI. He used to draw black horse on the body of his plane. 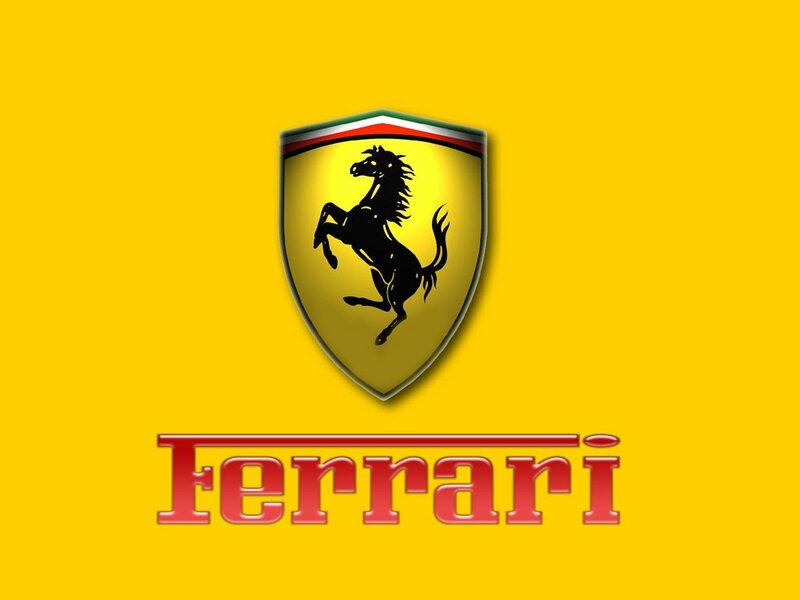 Later mother of the pilot offered Ferrari using this logo on his racing car. Later yellow background was added to the badge. Golden snorting bull on Lamborghini logo is famous all over the world. It originated from Taurus zodiac sign which is the sign of the brand’s creator. At the same time this badge also refers to bullfights. By the way, this reveals the secret why the majority of Lamborghini models are named after famous bulls. At the same time it is a symbol of power and passion.